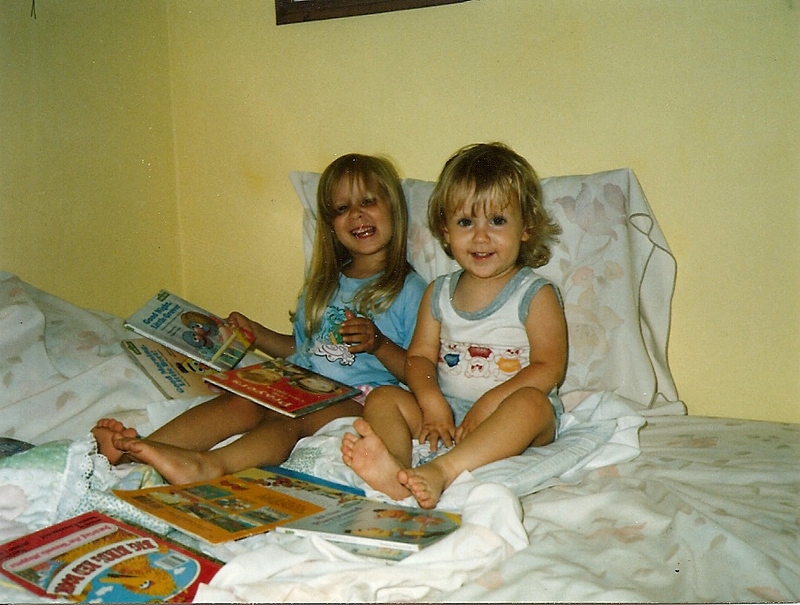 I have been reading since age three and writing since roughly around age ten. I have not highly motivated myself for a longer period than a few weeks to really be a writer until very recently though. It is becoming obnoxiously difficult but fortunately, I am not allowed to give up this time. I live in a small town in Ohio in a home that I lovingly call the Gingerbread house as it strongly resembles the one in the story of Hansel and Gretal. I reside there with my four pets consisting of three lazy cats and one highly-trained husband. My sister and I after our weekly trip to the library. You live in a gingerbread house. That is the cutest thing I’ve ever heard. No, really. I totally love gingerbread. I have tons of gingerbread ornaments for Christmas and two cookie jars – just haven’t scored a gingerbread house yet 😉 Thanks for stopping by… Cheers and good luck! I have nominated you for the Liebster blogging award.